The Mingle Panel (Males only at this time) is a new survey site in the UK but already has over 300,000 members from all over Europe. You are rewarded with £16 cash via bank transfer or £12 vouchers for either Amazon, M&S, Debenhams, New Look or Zalando. The Mingle Panel is a brand new survey site in the UK but already has over 300,000 members from all over Europe. The site is owned and operated by Respondi AG who are one of the biggest market research sites in Europe and belong to several national research associations. By becoming a member of the Mingle survey panel you will take part in market research questionnaires. These questionnaires will be carried out online or via your mobile phone or smartphone. You may also at times be asked to take part in online discussions in a closed community or test free products from your home. Your participation in any of these projects is always entirely voluntary and you will also be rewarded in cash or gift vouchers for your time and efforts. All results that are collected from surveys and other market research projects are sent to external clients. This information is then used by the business world in order to answer pressing and current issues on their products and services so your opinions really do make a difference. To get started at the Mingle panel simply fill in the short registration form on their website and confirm your email address to start receiving surveys. By registering today you will also be entered straight into a draw to win a brand new Kindle Fire tablet. Once you have registered you can login to your members area. When you first login you will need to complete a short survey about yourself. If you complete this first survey in full you will be rewarded with 100 points to get you started. From the members area you can check how many points you have earned and redeem them once you have collected enough. You can take part in various polls, the results of these polls will be published in Mingle’s blog and on their website. You can also update your personal and any other profile information. You should also complete the rest of the profile information in your account as this will allow Mingle to match you to relevant surveys when they become available. When a paid survey or other research project becomes available for you to take part in you will be sent an email invitation. The invitation will specify how long the survey will take and how many bonus points you will be rewarded with for completing it. To get started simply click on the link in the email. Sometimes you may not qualify for the full survey and be screened out. If this happens all is not lost as you will still be rewarded with up to 10 Mingle points. If you do complete the entire survey then your points will be credited straight into your account. Once you accumulated 1500 or 2000 points in your account you can redeem them for cash or gift vouchers. 2000 points is currently the equivalent of £16 and 1500 is £12. If you choose cash then you require 2000 points and it is sent directly to your UK bank account. Alternatively you can choose either an Amazon, M&S, Debenhams, New Look or Zalando gift voucher from 1500 points. Please note though that once you have 2000 points in your account that you must redeem them within 3 months, if you don’t then they will expire. The Mingle survey panel is committed to 100% data protection in accordance with the strict guidelines of the market research industry. This means that you will never receive any adverts, any spam and the site will also be free of charge. 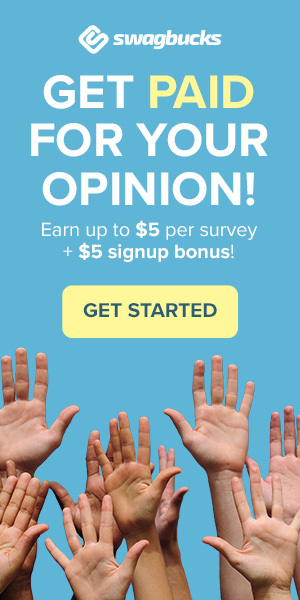 In conclusion we would say that the Mingle panel is a new and exciting survey site offering many opportunities for you to be rewarded for taking part in different market research projects. Definitely not one to miss out on! Tell us your experiences with this site below. Please note: Mingle are only currently looking for Males in the UK to join their panel. This used to be a good site, however, recently every survey has the same problem. When you try and complete the survey on a laptop you get a message telling you “Please use a computer or a laptop to participate in this study!” I have reported this on numerous occasions, but to no avail. So if you wish to complete surveys on a laptop then don’t bother signing up to Mingle.